As 2019 marks fifty years since the late Gérald Genta started his eponymous brand, Bulgari adds a special Gérald Genta 50th Anniversary watch to its collection. The platinum-cased 41mm jumping hours watch with retrograde minutes and retrograde date reminds us of Genta’s role as arguably the most important watch designer of the past five decades. 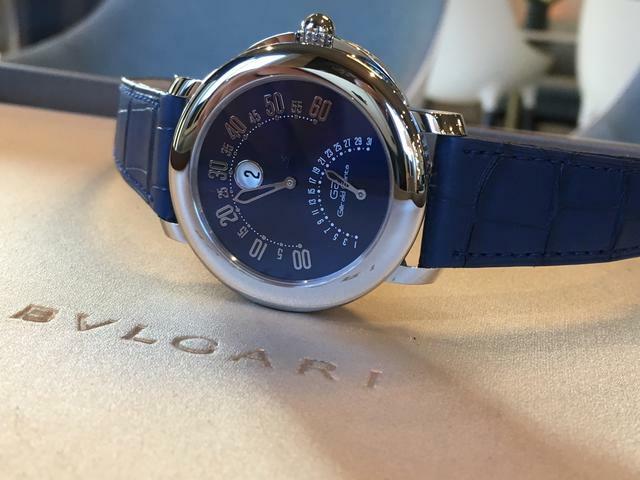 The release, seen first in Geneva a few weeks ago, also recalls Bulgari’s acquisition of the Gérald Genta and Daniel Roth brands in 2000, a purchase that has played a significant role in building Bulgari’s haute horlogerie expertise. 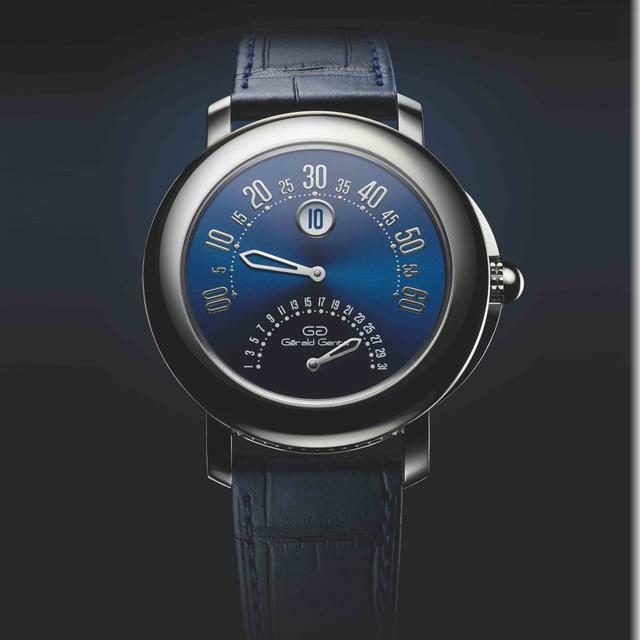 Gérald Genta, who died in 2011 at the age of 80, designed many of the icons of modern watch design, including the Universal Genève Polerouter, the Audemars Piguet Royal Oak, the IWC Ingenieur, Cartier’s Pasha, the Omega Constellation, the Bvlgari Bvlgari and the Patek Philippe Nautilus. Many of these designs remain bestsellers for their respective brands. As a result of the Bulgari acquisition of the Gérald Genta studio, Bulgari watchmakers were a step ahead of many other global luxury brands in the realm of complicated watches. 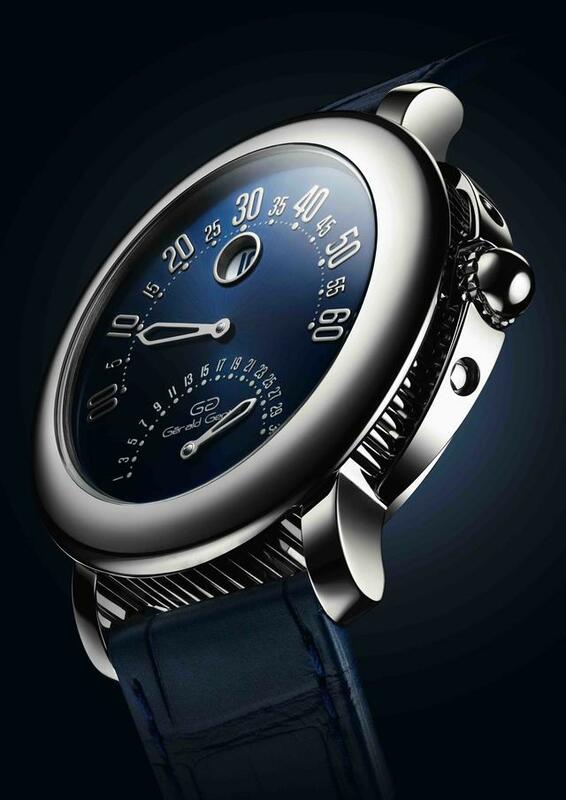 Bulgari notably debuted a wider selection of complicated timepieces than did many competitors in the years following the purchase, notably showing watches with chiming mechanisms and jump hours. This deep knowledge base also led the company to develop its Finissimo ultra-thin movements as well as its ability to create simpler calibers in-house. Bulgari has placed the new Gérald Genta 50th Anniversary Watch inside a well-known round Arena case that features a wide, curved bezel. Framed in highly polished platinum, Bulgari places the watch’s characteristic jumping hours in a large window at 12 o’clock while the minutes are tracked on an arc that spans the top half of a rich blue lacquer dial. As with most Genta jumping hour watches of the past, the minute hand travels across the top of the dial, snapping back to zero every sixty minutes. 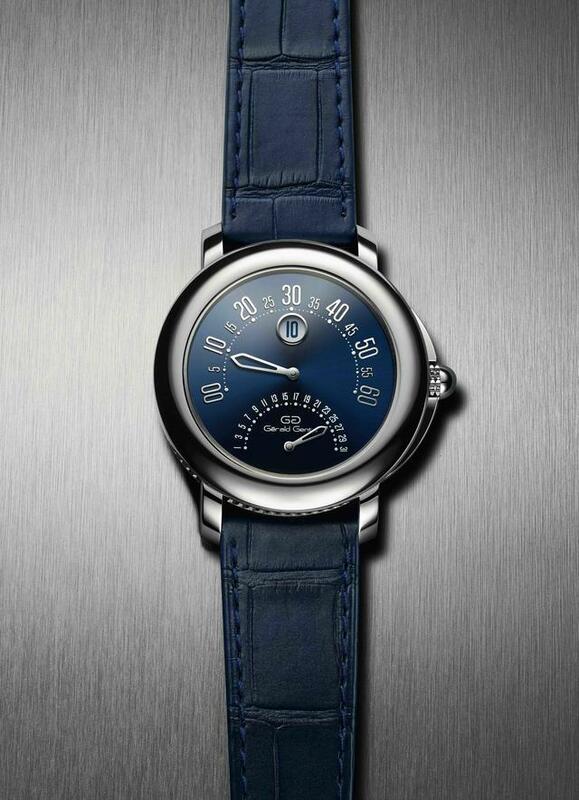 The date is seen in a smaller arc at the lower end of the dial over the cool, and original, Gérald Genta logo.